Remember the good old days, when adventures were underground, NPCs were there to be killed, and the finale of every dungeon was the dragon on the 20th level? Those days are back. 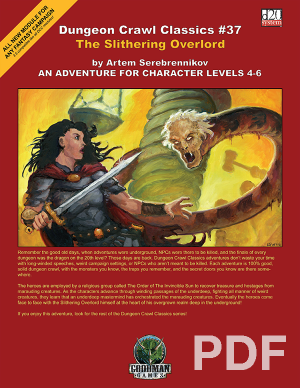 Dungeon Crawl Classics don’t waste your time with long-winded speeches, weird campaign settings, or NPCs who aren’t meant to be killed. Each adventure is 100% good, solid dungeon crawl, with the monsters you know, the traps you fear, and the secret doors you know are there somewhere. 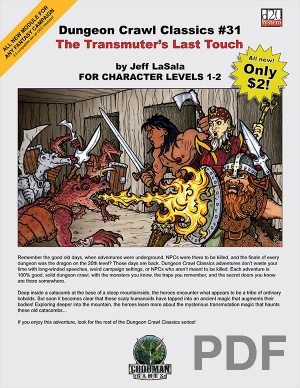 If you enjoy this adventure, look for the rest of the Dungeon Crawl Classics series! The original award-nominated Aerie of the Crow God adventure plus a new adventure, “Seed of Evil,” a never-before-seen sequel that continues where Aerie leaves off. 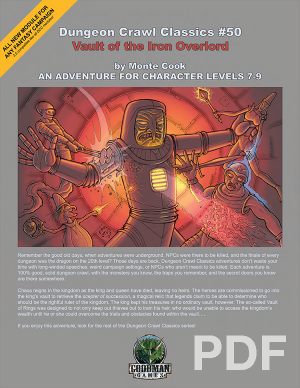 Nine fully illustrated player handouts, designed to bring the adventure alive for your players! 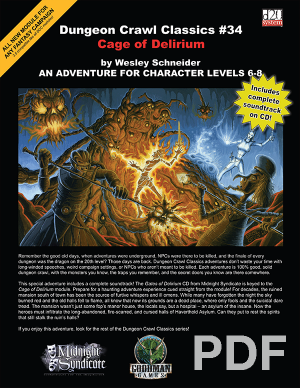 Includes stats for three new monsters, all integrally tied to the adventure, as well as several new magic items, plus background on the environs of Gurnard’s Head. 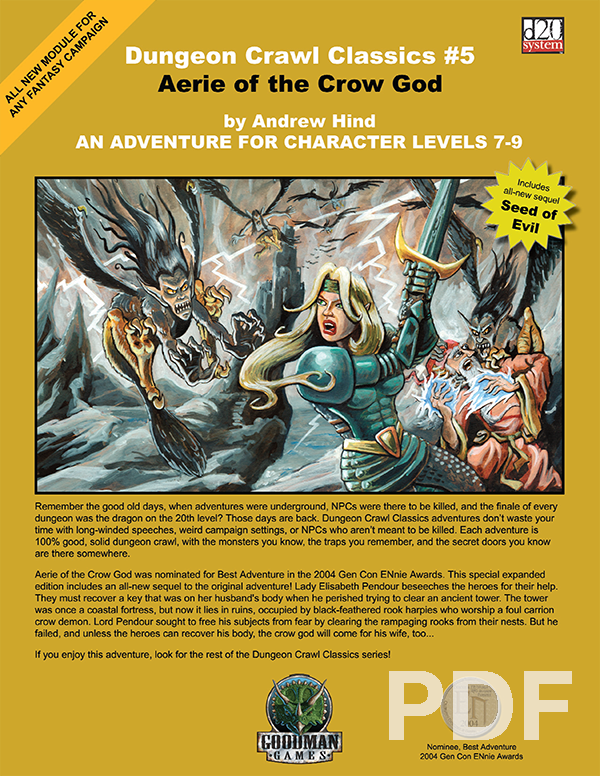 Dungeon Crawl Classics #5: Aerie of the Crow God was nominated for Best Adventure in the 2004 Gen Con Ennie awards.